While Samsung and Apple may want to quickly forget about the sub-par performance of their smartphone portfolios during the final calendar quarter of 2018, it looks like Huawei is not the only company that can be proud of its mobile device shipments in a time of general industry stagnation. Lenovo's Mobile Business Group (MBG) managed to somehow generate a quarterly profit for the first time in nearly five years, although it's unclear exactly how much money the company's smartphones made between October and December. We're probably not talking about massive gains, as Lenovo recorded an overall net profit of $233 million during this timeframe. Both the MBG and the PC and Smart Devices (PCSD) business contributed to that result, which marks a solid improvement for Lenovo's financial position after the Chinese tech giant lost $289 million in the same quarter of 2017. Lenovo is obviously proud of its PC market-leading status and how its computers have managed to outperform the industry, but that unspecified worldwide profit generated by the mobile division is actually a more significant achievement if you ask us. That's because Lenovo acquired Motorola back in 2014, struggling to combine the two brands and integrate Moto's business in a seamless and lucrative way ever since. At long last, the company executed a strategy to "reduce expenses, streamline the Group's product portfolio, and focus on core markets" in "masterful" fashion. 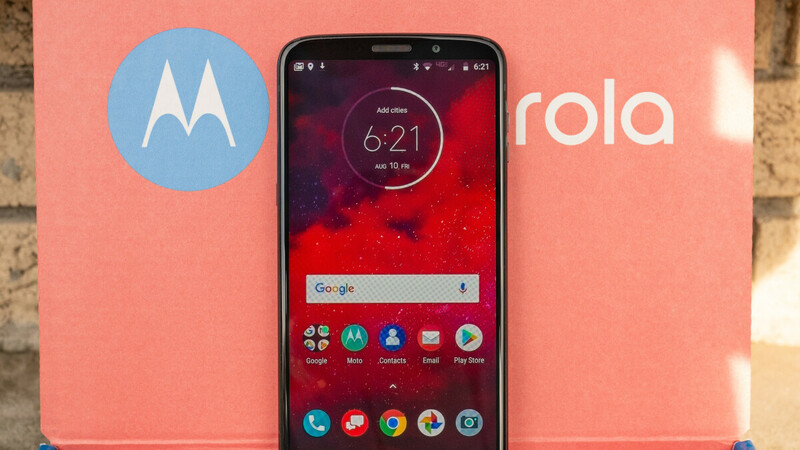 As a result, it seems Moto-branded handsets sold like hotcakes during the holidays in North America, while a "range of new products under the Lenovo brand" quadrupled the company's revenue in China. Unfortunately, we don't have actual sales numbers to share, but Counterpoint Research ranked Lenovo in eight place in global smartphone shipments for the entire year, behind LG. That means you don't need to sell that many phones to make a profit. But you do need a coherent strategy and a "masterful execution" of said strategy. Moto G series turn to be Garbage series while Z play turnout to be expensive and P10 turn out to be a copycat of iPhone X,XS & E series has buried under G7 power name to remain a battery champ.Moto Z has went unnoticed till last year hope it get better this year. I've seen many more Motos in the wild lately. I'm amazed that this is working considering how many models they release in the different price ranges. Motorola is like one of the top smartphone vendors in South America. They are also big in Africa. Because consumers know you don't need a higher SOC just to have a decent phone. I bet you don't know that.